What is the size of the DRTV market in Europe? The European Union has been with us for over 50 years and what started out as a treaty between 6 founding countries now includes 28 member states with a total population of circa 511 million until the UK’s BREXIT vote in 2016. Together these countries account for less than 22% of the worlds population, however their combined economies produce an impressive 37% of the global GDP and they own more than 32% of the worlds telephone lines making Europe the ideal target for DRTV andHome Shopping. DRTV, of course, is not a new TV advertising concept. It has been successfully used as an advertising medium in America since the mid 1950s. The real boost for DRTV came with the availability of freephone numbers, and the advent of credit cards as the preferred means of payment. According to Teledirect Magazine, 68% of all US TV commercials now carry a telephone number or URL, and this figure rises to around 87% after 10pm. Western Europe only embraced DRTV in the mid 80’s, however it is estimated that TV shopping revenues in the EU are likely to grow to circa 6.4billion Euros by 2012. Which countries in Europe are consumers more receptive to DRTV than others? Many DRTV advertisers thought the expansion of the EU would open up new and profitable markets. Consumers in Austria, Germany, Holland, Italy, Ireland, Spain and UK have populations that like using their televisions for all manner of home shopping. Interestingly these West European countries have the most call centres per head of population. East European countries also want to buy innovative DRTV products but the logistics (lack of call centres and credit card usage) in those countries will continue to throw up challenges meaning that DRTV operations might take several years before they deliver acceptable sales and ROI. An upside, however, is that advertisers can test DRTV for a much lower entry cost in these countries and DRTV sales are predicted to forge ahead of their less progressive neighbours. Another country where DRTV is growing fast is Poland. The cost of both DRTV & Infomercial airtime is very competitive (when compared to the USA) however the British, Germans & Dutch have always been inclined to buy products offered in US style creatives. An added advantage in the UK is that TV audience levels can be tracked using BARB (Broadcaster’s Audience Research Board) making media planning & buying TV airtime more accurate than any other country in Europe. To highlight just how much the UK (population 64 million) has embraced tele-shopping there are more than twice as many home shopping styled TV channels in the UK than in Germany (population 84 million). In summary, Britain continues to be the best performing DRTV market in Europe. If considering DRTV in Europe will you be able to monitor & track results accurately? ARM Direct recognised several years ago that the best way to help all our DRTV clients keep ahead of their competitors was to guarantee them the ability to accurately track & analyse every TV channel’s performance on a daily basis. Are there differences in the way DRTV operates in Europe compared to USA? Many already successful USA DRTV advertisers assume that what they have done one side of the Atlantic can automatically be repeated on the other. The challenge is to learn from and then develop each individual European market finding ways to target the desired audience at the lowest cost-per-response. Smaller audience numbers, as most advertisers in the USA are fully aware, are not necessarily a problem in the direct response arena. What matters is the equation between the cost of the airtime and the number of sales or leads generated. An experienced DRTV media buyer with expert knowledge of the European market can identify the type of audience demographics required for a particular product or service and negotiate airtime accordingly to generate the maximum response. The UK and Germany have the most DRTV media avails in Europe – mainly driven by the sheer number of digital satellite & cable channels in those countries. The UK has the most Infomercial and home shopping airtime and our recommendation is to test DRTV in the UK first and then Germany, Holland and Belgium. How do you find the right DRTV Creative & Media Agency partners? It is important for Direct Response companies to find the right partners from day one. Each European country presents its own set of challenges and it is therefore essential to seek out a successful London based DRTV creative & media agency like ARM Direct. It must be able to grab the viewer’s attention right at the start and sustain interest throughout the commercial. Watching TV is a passive activity. When a DRTV ad is on screen it should demand that the audience take an active role. Picture yourself watching a DRTV ad for a new service or product – now ask yourself what would make you pick up the phone and take action? Persuading the passive viewer to make an instantaneous switch to active consumer is tough. You need to know what you’re trying to say, who you want to reach, and what you want them to do about it. Creating a need and doing this using simple language is the key to a successful DRTV ad. For example if a debt ad persuades viewers that one phone call will solve their problems, it is halfway to getting response. Make the product or service appeal to the individual by depicting situations to which the TV viewer can relate. It would be unusual if there were only a couple of reasons for buying a service or product. Identify the “selling point” that will most persuade TV viewers that the DRTV message may change their lives. If there is a USP always use it to full advantage. CH4 TV Response Research confirms that the longer the DRTV ad, the higher the response is likely to be. The best length to get your message across is usually 60sec, however always plan to do a 30sec cutdown from the original footage as this shorter length will allow you to test on the more expensive Terrestrial channels. Advertisers in the USA and on satellite channels in the UK have had considerable success using the 30minute Infomercial length. This longer format is ideal for selling products that require lengthy demonstrations or explanation allowing the advertiser to present a stronger case as to why the viewer should buy the product/service. Several USA companies have ceased using shorter DRTV ads and are now concentrating their marketing efforts on securing low cost satellite TV airtime so that they can broadcast their half hour Infomercials across Europe. Always keep the target audience in mind and address them in a way that is relevant to them. This includes a suitable tone of voice and an understanding of the way in which the audience perceive themselves. For example, an ad aimed at teenagers will not attract its target group if it uses a middle aged cast. Conversely it has been proven that in the 50+ sector TV viewers tend to identify with people that are around 15 years younger. DRTV combines sight & sound so make sure the selling point of the DRTV ad is credible. If an ad lacks sincerity or conviction, then the viewer will not be convinced either. Any confusing language or captions are fatal where the aim is to achieve maximum response. The style of DRTV ads does not mean that you have to stretch credibility as this only brings the cynic out in the viewer. The benefits of using a freephone 0800 number are obvious. Viewers are more inclined to call the number on the DRTV ad because they have nothing to lose. Make sure your DRTV ad follows the tried tested rule of placing the number prominently on the screen within 5secs of the start. The longer the number is on screen the higher the response will be. Many companies already use DRTV to promote products that benefit from visual demonstrations. These include vacuum cleaners, kitchen equipment, exercise machines, even colour contact lenses. When promoting a product or even a service don’t leave anything to the viewers imagination – demonstrate the benefits clearly. Don’t drown the call to action or the audible repeating of the 0800 number with loud music or sound effects. Also, always use legible and persuasive captions that match the dialogue exactly. For a DRTV ad especially, the soundtrack and captions should enhance the main aim of the ad, which is to persuade people to call, not entertain them. (10) Finally, don’t forget to ask the DRTV viewer to call…! The End Frame containing the all-important call-to-action captions should never be less than 10secs on screen. DRTV viewers need to be reminded to write the number or the URL down even if these have been up in the main body of the DRTV ad for much longer. Also, if possible always try to offer something for FREE (free call – free information pack – free gift – free bonus – saves you money). Something extra that encourages viewers to make the call now! DRTV (Direct Response TV) is often seen as the poor relation of traditional high budget Brand advertising but in the past 5 years the increased use of the internet by consumers has narrowed the gap. This has recently led to the creation of a new low cost genre of TV advertising called BRTV (Brand Response TV). These are 30-second spots that promote a URL to drive viewers with tablets or smartphones to visit a website and make a purchase. With BRTV the focus is less on name recall and more about driving online traffic. This type of ad qualifies as “direct response” and allows the clients’ media agency to purchase airtime that can cost as much as 50% less than fixed-position brand inventory in which a guaranteed TV audience level is purchased. With BRTV there is usually a more effective viewer engagement via the advertisers website and this more than makes up the difference in spend levels. Additionally, the airtime discount minimizes risk and allows first time advertisers to safely test TV. At ARM Direct our experience is that a hefty 20% of additional online response is generated within 10 minutes of a well made BRTV spot being transmitted. 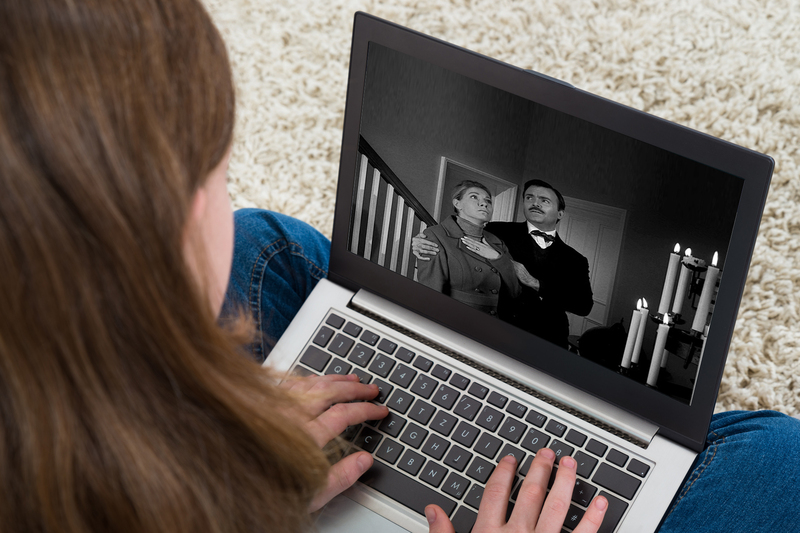 Nielsen tells us that some 60% of television viewers watch the box and surf the Internet simultaneously and we find that the multitasking 18-35yr age group react positively to BRTV ads – especially if these are highly creative and slightly edgy. Younger viewers especially are happy to immediately visit a BRTV advertiser’s website and just as importantly share what they’ve found with their friends on Facebook & Twitter. Results are even more powerful when the BRTV ad offers a free sample or special discount. We’re on a mission to make BRTV more affordable in the UK and one of our recent successes has been to help a dynamic young online company to significantly grow sales of their hero brand. Clinton Njie (CEO of ToxicFox) decided to explore whether television was an affordable option and in September 2012 he appointed ARM Direct to make a stylish 30sec BRTV creative using the catch phrase “carry yourself with style”, featuring 3 young models and fun character animations by Nick Sneath. 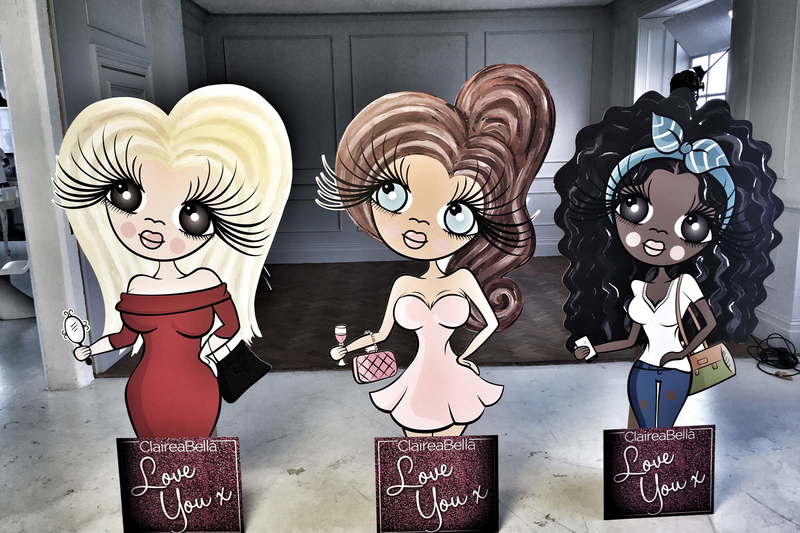 For a modest media budget this was tested on selected UK TV channels and ToxicFox website sales increased significantly with ClaireaBella fast becoming a “must have” bag in the all-important pre-Christmas online sales period. This initial test proved so successful that ToxicFox are now rolling out a February 2013 campaign and plan to make further BRTV ads to support their brand later in the year. Low-cost BRTV Ads drive viewers online Research ‘TV and Online: better together’ conducted by Thinkbox & IAB, confirms that TV advertising can drive people online in a host of ways, the benefit being that the smartphone consumer journey is now much shorter and viewers often respond to TV ads as and when they are seen in real time. From their analysis it became apparent that the role of TV in driving online response has been undervalued. Partially, this is down to the fast changing technological landscape and the huge increase in smartphone ownership. Plus BRTV campaigns are based on hard facts as the response numbers don’t lie – meaning that results can always be improved month-on-month by cutting out the slow performing TV channels and testing others. Television’s impact on website response all too often slips under the radar but the reality is this; making a low-cost highly creative BRTV ad can help drive significant online traffic especially as all BRTV ads shown on broadcast channels can now instantly be searched, shared and copied adding a whole new dimension to agency accountability. At ARM Direct we welcome this new challenge. Written by Digby Orsmond on December 22, 2016 . Posted in Blog. What was the most significant accomplishment in the past year for the UK’s DR industry? The hottest topic in the UK continues to be the way major fashion and cosmetic brands have finally woken up to the power of BRTV and how smaller companies are now adding TV to their marketing mix. ARM Direct is focused on helping several young consumer brands test TV and one of the most successful continues to be Barry M (the UK’s most successful teenage cosmetic brand) who by switching to a BRTV style creative has persuaded huge numbers of young British girls to tweet, go online and join their fun Facebook page or visit their local stockist. The result has been a substantial uplift in retail sales and Barry M have succeeded in taking market share away from the much larger cosmetic brands who at very considerable cost have used fashionistas like Kate Moss and Georgia Jagger (the glamorous daughter of Rolling Stone Mick Jagger) in their TV ads. On the flip side we’ve made highly successful BRTV ads for under £8,500 and the results to the client’s ROI have been really dramatic, in one case increasing retail sales by over 800%. How can you better reach out to brands who are looking to integrate DR, digital and data-driven efforts within their overall marketing plans? We have seen several well-known DR clients switch to an online only strategy as the internet can deliver lower CpRs. In some cases the making of the DRTV ads has also been given to the online agency as a way of further savings costs. We believe this is a short sighted tactic as we have many years of experience using DRTV to generate new leads (or immediate sales). Once the DRTV ad is switched off the advertiser loses the positive “halo” effect that a regular television presence produces. This has been especially evident in the debt management and claims compensation sectors where once there were over 35 DRTV advertisers on UK TV channels in 2013 there are less than 10. British consumers are now devoting almost half (47%) of their waking hours watching TV and using their smartphones and tablets according to the UK broadcast communications regulator Ofcom. The accepted wisdom is whilst these same consumers may be spending less at retail the dedicated TV viewing remains a central part of their lives throughout the day. In the UK we recognized several years ago that the best way to help our DR clients keep ahead of their competitors was for ARM Direct to analyse response data to help maximise campaign effectiveness. Ofcom reports that smartphones in the UK are increasingly being used for multi-media, but live TV still remains the main entertainment within the home. Younger people have shown the biggest changes in how they use media – particularly using different media at the same time. 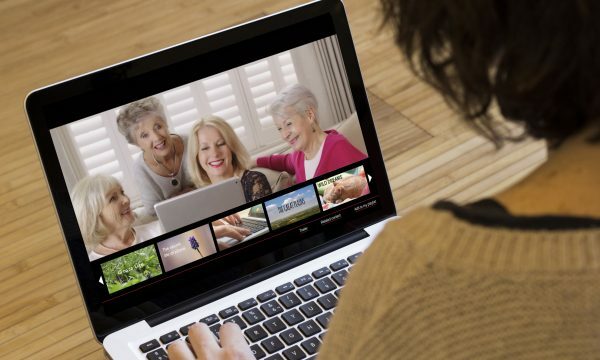 But the divide between younger and older people’s use of technology is starting to narrow as more middle aged people (40+) are watching home shopping channels looking for a bargain purchase or getting online and finding this is so much easier than ordering from the traditional print catalogue. The UK economy has climbed out of recession and retail sales in 2013 are definitely showing the green shoots of steady growth. The DRTV advertiser is benefitting from this especially if they have a good direct to retail presence. Many TV channels are lowering their rates as they continue to be challenged by brand advertisers switching their spend to online only strategies. This means some savvy DRTV advertisers are now paying less for 60sec & 120sec spots than 4 years ago and if they have the budgets will be able to substantially increase their OTS (opportunities to sell). The direct-to-retail game plan now seems to be a must for every DR campaign that hits television. What are the three most important things a marketer must do to have the right retail plan in place? In the UK getting your product into retail is all about who you know and managing those relationships well. JML is the stand-out DR company in the UK and their video-in-retail locations set them apart from everyone else. If you walk into almost any major high street store in the UK the chances are that you will see one of JML’s ubiquitous demonstration screens somewhere in the store. 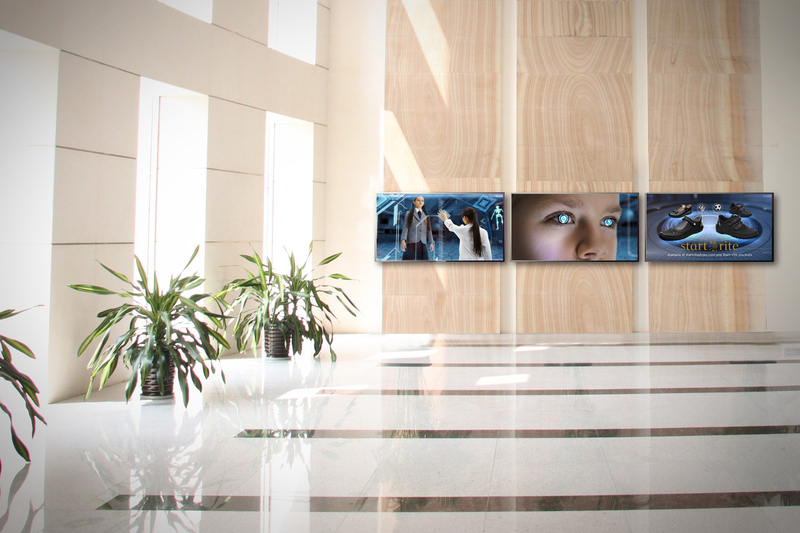 To put that into perspective JML has 7,000 of these video screens located in 3,500 stores across the UK. By thinking “outside the box” JML is now the UK’s DR leader by a substantial margin. Newcomers from the USA will find the European market (now 28 member countries until the UK’s BREXIT vote) very confusing so my advice is to concentrate your efforts on the UK and link up with an established media buying agency with many years of DR experience as they should be able to help with introductions to the best retail opportunities. The three most important things a DR marketer must do in 2013 is have a great customer relationship management system so that you know who they are, how often they shop online, what they like and when they last visited your website as the consumer wants to buy on-trend products at great values. Next make sure you capture relevant data about your customers when they visit your website by offering them a newsletter or coupon to encourage their next purchase online or to visit a particular retailer where your products are on sale. Finally, according to a survey by Appelerator IDC, 93% of mobile developed anticipate that it is “likely to very likely” that most retail companies will have enabled mobile commerce in 2013 as consumers increasing reach for their phones and tablets even while shopping in a physical store. So make sure that you are looking at ways to engage with your customers via social media. Don’t delay this part just start doing it and give your customers more opportunities to buy and tell their friends about your wonderful products. Yes, Twitter usage can be awesome! In fact, so is Facebook, YouTube, Google+, Pinterest and many other social media platforms. Twitter in the UK currently has circa 24 million UK accounts followed next by Spain with 8 million (by comparison there are circa 108million twitter accounts in the USA). Every DR business should include a social media strategy to attract potential buyers or increase product/service interest. Recent DR research by ARM Direct confirms that media savvy UK consumers (after seeing your DRTV ad) will key in the URL and check out what you have to say on your website then next open your Facebook page to see what others are saying about you. We’ve been especially successful combining VoD + Twitter + Facebook on campaigns for the 18-35yr old demographic, however, for the 50+ sector a much more subtle approach is needed as print is still very important. The number of UK smartphone users continues to grow rapidly with 57% of the UK population now using a smartphone or tablet. 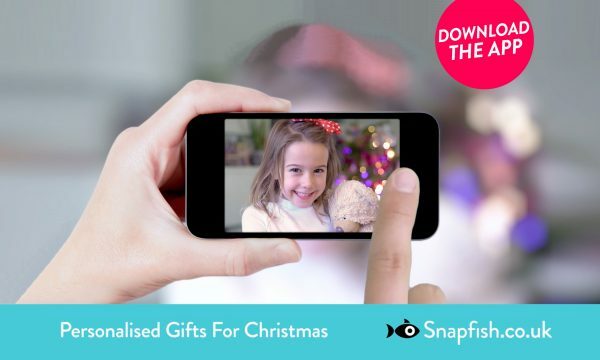 In the UK shopping on a tablet is more popular than from a smartphone with 66% of tablet owners admitting to having made a purchase from their device during 2012. More interesting is that research has shown that tablet online shoppers have tended to purchase multiple products with a higher price tag. What does this mean to the DR marketer? 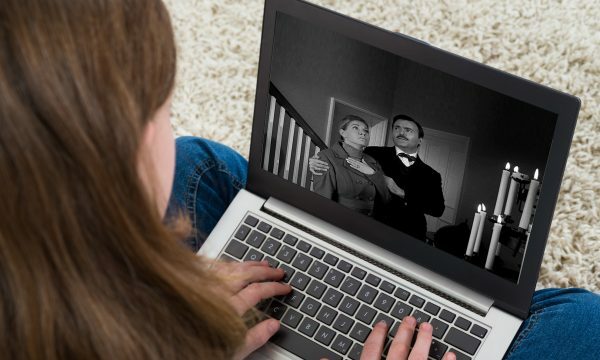 Despite increasing use of the internet and an explosion in the choice of mobile devices available to access media and communications, regular TV still remains the UK’s most watched media and viewing figures actually increased between 2000 and 2012, with the average UK viewer now watching nearly 5 hours every day! Given the current state of the DR industry, what would you change to ensure its continued health and growth? future spoils will go to those more savvy DR companies at the forefront of the media usage revolution. Surfing the internet via mobile phones is the fastest growing UK media – DR marketers who ignore this trend will be left behind as the UK economy continues to improve year-on-year. This valuable data allows you to target specific audiences for your TV campaigns, whether it’s kids, teenagers, young housewives or active 60+ oldies. This allows you to develop a TV media buying strategy for reaching exactly the right target market at an agreed budget for the lowest cost possible. In addition to selecting the best audience for your product or service message, there is also geographical targeting to suit your geographical location if you are in retail or to substantially increase your online website traffic. Generally speaking all TV advertising budgets are a split between the airtime cost and the cost of making the TV ad. The good news for advertisers considering TV is that the cost of making a TV ad is now substantially less than it was 10 years ago. 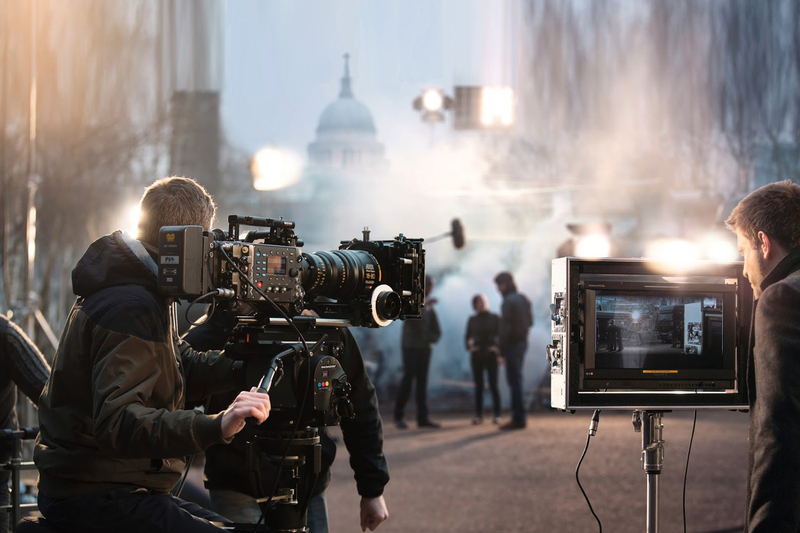 ARM Direct has made several very successful DRTV ads for as little as £4,500 for a USA financial services company that wanted to test the UK market but the final cost depends on what the client wants to achieve. On average many of the highly successful DRTV ads we make cost between £15k up to £40k and this includes all stages to project completion with the DRTV ad approved by Clearcast ready to be broadcast. We do not recommend using celebrity artists and voice overs as this adds massively to the costs and there are always plenty of talented artists who are more than happy to work hard for modest buy-out fees. Fundamentals of a Good DRTV Ad? ARM Direct has been responsible for several of the UK’s most successful DRTV campaigns and over the years we’ve always stuck to the basic, core principles that we know help our clients to succeed first time, every time. The DRTV ad creative style must inform & persuade and have immediate appeal to the target audience. Because watching DRTV is a passive activity the DRTV ad must grab the viewer’s attention right at the start and sustain interest throughout the commercial and persuade people to either pick up the phone or take action on their smartphone or iPad and go online to your website. Persuading a “passive viewer” to make an instantaneous switch to “active consumer” is what ARM Direct is very good at achieving. ARM Direct’s Production Manager comments, “Ideally you should know what you’re trying to say, who you want to reach, and what you want them to do about it. Creating a need and doing this using simple visuals & language is often the key to a successful DRTV ad. For example if a debt ad persuades viewers that one phone call will solve their problems, it’s halfway to getting a “good” response and converting the lead to actual business. 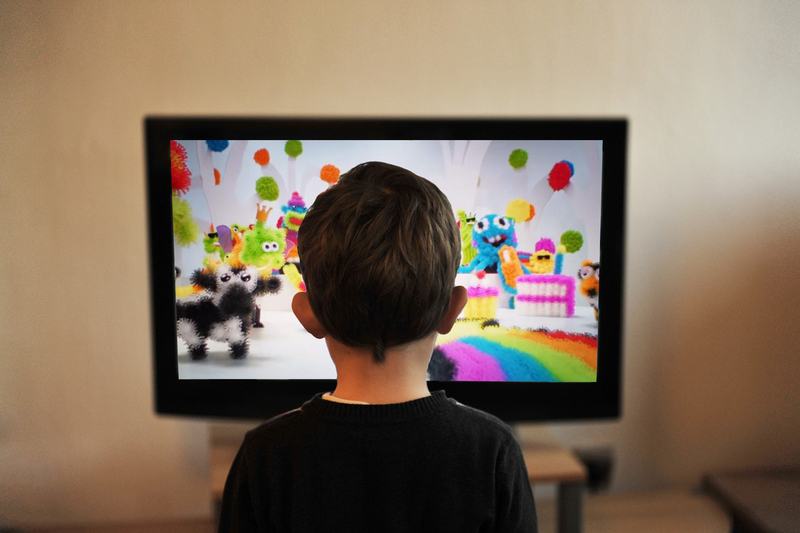 Make the product or service appeal to the individual by depicting situations to which the TV viewer can relate”. In the UK all airtime costs are based on a 30 second commercial length and this format is used by almost all Brand advertisers. Some might even use 10 or 20 second length ads but this is disproportionately more expensive in terms of airtime media buying cost and should be avoided by DRTV advertisers who need to always get the best ROI from their campaigns. In our experience using a 30 second length can work really well if you’re trying to increase website traffic by only featuring the URL in the ad. If, however, you’re selling a more complex service (eg. Pension or Home Equity Release) then you’ll definitely need a 60 second length to include all the product’s unique features & benefits. DRTV advertising is probably one of the most accountable of all creative options as every viewing must generate a lead or make a sale. The TV industry uses detailed audience research to measure minute-by-minute viewing figures and when you add into the mix a DRTV ad which features an 0800 number + URL it becomes wholly accountable – something you can’t say about a general Brand ad. If you’re considering DRTV or currently running a campaign on a limited budget then let us fine-tune what you’re doing and we guarantee to generate better results for you. After nearly 30 years of DRTV airtime buying & creative experience our accumulated multi-level media knowledge could really make all the difference to your business and ROI.